For many people, making the decision to have a hair transplant is an enormous responsibility, one fraught with both practical and emotional concerns. Once you have decided to take this huge step, you probably have a rough idea of how much it will cost, and what the end result will look like. One thing many people having a hair transplant are not aware of, however, is the recovery period involved. While having a hair transplant in itself is not completely painless, surprisingly the recovery period is a relatively easy one. Both men and women who are beginning to lose their hair initially baulk at the thought of having a hair transplant, for several reasons. In the past, most transplants consisted of hair plug surgery, which gave mixed results, at best. Often, the plugs looked artificial, and it was easy to detect almost instantly whether someone had undergone a hair transplant or not. These days, this type of elective surgery can have amazingly life-like results, yet still the hair transplant option is not always a popular one. Hair transplants are thought to be expensive and painful, but at least the recovery is easy. Usually the first night following this cosmetic surgery is the worst, and after that only minor discomfort will be felt for a week or two. While a hair transplant procedure is elective cosmetic surgery, nonetheless there is the potential for something to go wrong. You can greatly minimise the chances of this happening by adhering to your surgeon’s pre- and post-operative instructions to the letter. Hair transplants can be bloody, and you need to do all you can to help minimise the bleeding. For that reason, avoid taking aspirin, any type of blood thinner or any alcoholic beverages for at least three days prior to the transplant. If you are on mediation to thin the blood, consult your surgeon or your GP well in advance for advice. Do not engage in any type of exercise for at least a week following surgery. Do not do any heavy lifting for at least two days following surgery, and do not bend over. Your surgeon will advise you how best to sleep over the first few days, so that your upper body is elevated above your heart, to minimise any chances of excessive bleeding. Expect some minor swelling for up to 72 hours, which is completely normal. If anything untoward happens or if your nervous about anything, contact your surgeon. Make sure your doctor gives you prescribed pain medication, and don’t be scared to take it when needed. If minor bleeding occurs from a graft, apply light finger pressure and it should stop. Applying ice packs directly onto the donor area as well as the forehead is important for the first three days. Along with these instructions, you should also avoid using a hot blow dryer for a few weeks and refrain from immersing your head in any salt water (the sea) or chlorine (swimming pool). You should also avoid having any exposure to the sun for up to three months, and make sure that you keep all follow-up visits with your hair transplant surgeon. Infections from a hair transplant are rare, but they can occur. Similarly, while some form of scarring is inevitable, in some cases the scarring is worse than anticipated. Discuss appropriate outcomes with your surgeon beforehand. Pigmentary changes are also possible, especially in people who have darker skin. 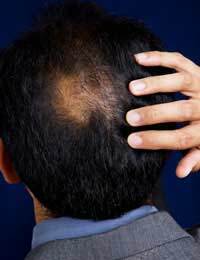 One way to avoid this is to avoid all sun exposure whatsoever during the first month following a hair transplant at least (see above). Numbness in the scalp area is also possible, although this usually disappears with time. Permanent numbness can occur if the surgeon cut off branch nerve endings, so minimise the chances of this happening by only using a board-certified hair transplant surgeon, who specialises in hair transplants only. Apart from some minor discomfort, most people experience less pain during the recovery period following a hair transplant than during the surgery itself. You can help make things easier by following the pre- and post-operative rules described by your surgeon. Having a hair transplant is not for everyone, but those who choose to have one are almost always thrilled with the results. Ensure that you get the best results you can while taking your recovery period seriously, and not doing anything to jeopardise your transplant. What is the Latisse Eyelash Treatment?